Everyday Hearing > Blog > Can Glasses Be Worn With Hearing Aids? Can Glasses Be Worn With Hearing Aids? This is usually one of the first concerns people have when considering purchasing behind-the-ear (BTE) hearing aids. 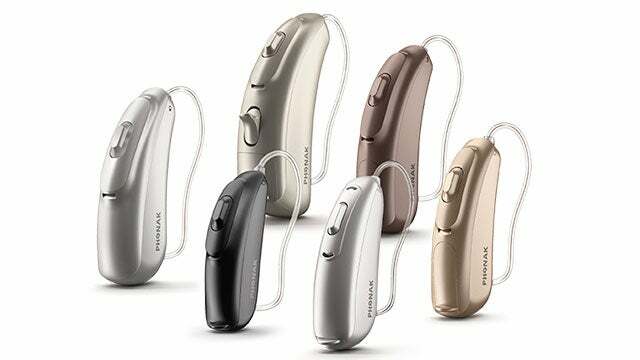 BTE hearing aids are becoming more popular as the size of them decreases and the functionality increases. They fit a large variety of hearing losses, as well as almost any ear shape and size. In most cases, glasses can be easily worn with behind-the-ear hearing aids. The earpiece on the glasses will sit right next to the hearing aid seated behind the ear. There are no negative side effects of wearing glasses with behind-the-ear hearing aids except for the occasional “thump” noise when putting the glasses on after your hearing aids. 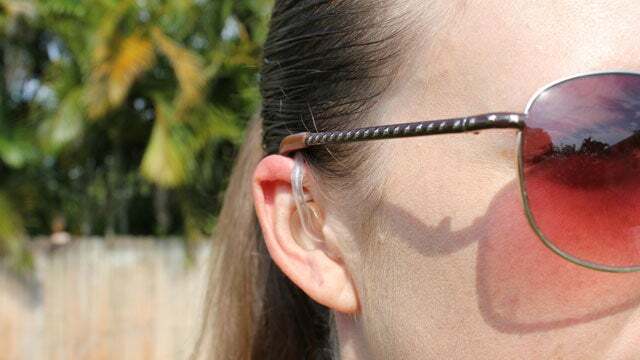 This only occurs because the earpiece of the glasses can hit the microphone of the hearing aid and for the second that the glasses touch the hearing aid and stops once the glasses are on. There is no correct or incorrect order in which the hearing aids and glasses need to be put on. If you have your glasses on first, the hearing aids will sit on the outside of the glasses earpiece. If you put your glasses on after your hearing aids, the earpiece of the glasses will end up either on the inside or outside of the hearing aids. Either way is fine as long as your glasses are seated on the center of your nose. Your ear is extremely small and the pinna (top outer portion of the ear) sits very close to the head. It is rare for an ear to be too small to hold both a hearing aid and glasses, even with children. Your hearing healthcare professional will be able to tell you whether the size of the ear will not hold both the hearing aid and the glasses. You are constantly taking your glasses on and off. Glasses can still be worn with the BTE hearing aids in this case, but it is more likely that the hearing aids will feel “in the way”. Your glasses earpiece is very thick or you wear large eyewear retainers (croakies) with your glasses. This may cause there to be too much behind the ear, depending on the size of the hearing aid. If you also have a larger behind-the-ear hearing aid with the thick glasses earpiece, it may be bulky. If there is still a concern about whether you are able to wear glasses with behind-the-ear hearing aids, bring your glasses to your appointment! Your hearing healthcare professional will examine your ears and glasses to determine if it is appropriate for you to wear BTE hearing aids. Not entirely true!! glasses can too easily dislodge hearing aids from behind the ear, and then you are dependent on the rest of the device holding the aid until you become aware that it is loose. It’s even worse if (like me) you have a beard in which the aid can be caught until it falls off. I have had this problem to such an extent that I wear aids only when I know I am going to be in circumstances, like at a meeting, where I really must be able to hear other people. Which defeats the purpose of having them. But there seems to be no solution. I’ve explored double-sided stick tape that will stick to skin (nothing found) or whatever it is that holds wigs on bald heads. Again, nothing found. I feel quite strongly that a device that depends on gravity and very limited friction to stay in place is poor design. I have had this problem and am very unhappy about it. At 82, I need my hearing aids and my glasses, but both contribute to pain and discomfort on top of or behind my ear. I am searching for some kind of foam or coating to apply to the underside of the plastic wire that runs from my hearing aid, and same for the new glasses frames that are thinner than the old ones, but are cutting me more as they are metal. My audiologist says I must wear my hearing aids daily or my brain will not adjust to them…but I find it so irritating and painful to wear them more than a couple or three hours. When I am alone she says wear them but I simply cannot …perhaps it is because I have fibromyalgia, that they pain me so. Exactly the same problem Mike – only wear aids when necessary & then often give up as my aid has fallen out. Family get fed up repeating themselves to me. And I’ve not even reached 50yrs yet. My hearing aid amplifies my glasses rubbing if glasses on top of aid and if over glasses amplifies my shoulder length hair moving esp. moving head – sounds like a crisp packet russling in my ear so I’m distracted from what I’m supposed to be listening to. Also after realised my face isn’t exactly symmetrical and my glasses don’t sit on both ears the same so one side always pushes off my h.aid. Wearing glasses since I was 3yrs, a breeze compared to h.aid. I have just looked up about this potential problem as I’m having BTE hearing Aids very soon and I only need glasses to read with. A little while ago I tried simple on the nose glasses to read with. Nooz is one company and Thin optics is another worth checking out. The reading strength goes up to 2.5. Great for out and about. Is there a frame to use for people constantly put glasses on and off? All frames I have tried are most annoying. And in many cases the aid is pulled from the ear. can you help me. Usually the thinner the frame the better but there is no one frame that I know of that works for everyone. I not only wear glasses and have hearing aid but I need oxygen 24/7. I also like wearing clip ear rings when possible. Believe iit or not all of these things are doable. For me the key factor was the Audioligist. It took multiple visits to get the perfect fit. My hearing aid fits in the ear and the battery BTEis on the outside. The only thing I would like is to be able to take a shower with them in. Thanks for the feedback Dolores. We agree, an audiologist can make a big difference when it comes to getting the proper fit. I’m ah 80 year-old guy who wears glasses, BTE hearing aids, and now, an oxygen cannula. So I sympathize. I’m surprised there aren’t more of us with so many of us living longer now. But that’s a lot of stuff to pack behind your ears. I have seen some ads for eye glass frames with an oxygen cannula that would help some, but it seems as if you have to order your glasses from that supplier. I will explore further with my audiologist and with my optician. I have tried taping the cannula to the eyegoass temples and that helps, We’ll see. Not surprisingly my face and head isn’t exactly symmetrical and in my case my glasses don’t sit on my nose straight so glasses arm on one side sits significantly above ear and rests on top of h.aid at an angle and gradually pushes h.aid out of ear over few mins. If I readjust my glasses the glasses arm just raises the other side! Extremely annoying and don’t know what to do. If I readjust my glasses as you do when you wear them all day, everyday often dislodges aids – interrupts what I’m doing or I miss key info to fix all back into place. I now prefer to not wear my aids and lip read. 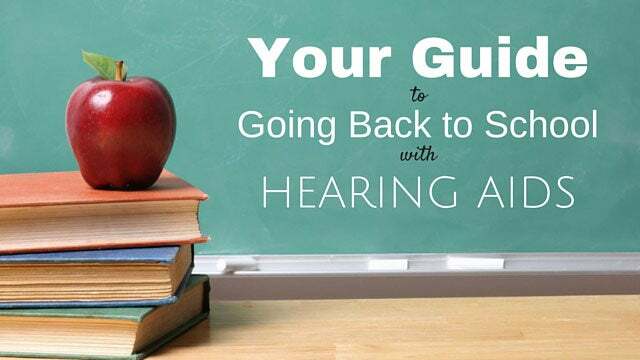 It may be worth visiting an optical center while wearing your hearing aids to see if they have any recommendations and/or adjustments that can be made. Completely agree with all of the above. Hearing aids and glasses do not work. I wear vari focals and if they don’t take preference, they don’t sit right and you have blurred vision. Don’t bother wearing H A’s just too uncomfortable with glasses, also they amplify ALL noise so, if like me, hearing speak is a problem because of other noises, then you end up with everything louder but still can’t hear speech. This is not true in most cases. You should work with an audiologist and an optician for the best fit of both your hearing aids and glasses. 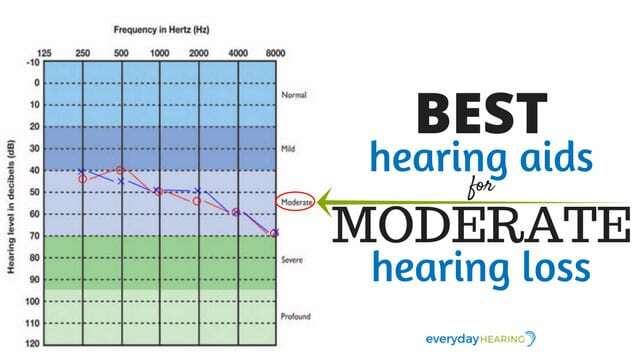 Also, today’s hearing aids do a good job at reducing background noise more than speech, especially if you invest in a high-quality hearing aids. I have $4000 rechargeable Unitrons and I can’t stand to wear them in a restaurant or anywhere there is a crowd, glasses or no glasses. The noise is deafening and I can’t hear the people I’m with, so I just don’t often agree to go out anymore. I just got glasses and with my hearing aids sitting outside them, they hurt my ears terribly. I will see my optician again today for some adjustment, but I really doubt I’ll wear both glasses and hearing aids at the same time. I’m recently blind in one eye and 20/400 in the other eye from AMD hemorrhages, so I have to have the glasses, therefore its the hearing aids that will go. It makes me sick to have spent so much to have to shelve them. Hopefully your optician will be able to adjust the glasses so you can wear both, or you could consider getting a pair of glasses with a slimmer arm so there isn’t a lot of pressure on the ear. That is so true. I cannot find a frame that allows varifocals to work with a BTE aid and avoid the eye strain/dizziness. I was able to use Clic reading glasses easily. They have a strap well behind the head, so they can hang until you need them. They have magnets at the nose….they come apart there. Thank you for the input! We will look into the Clic glasses! Try “bayonet” frames: they clamp to the head, instead of caress the ear to stay on. The military uses them also because you can put them on and off even when wearing a helmet.